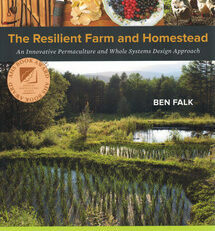 The Resilient Farm and Homestead is a comprehensive how-to manual that will help you select, design, develop, and manage land for self-reliance and regeneration, and presents a thriving model for productive, durable homesteads and farms in cold climates and beyond. 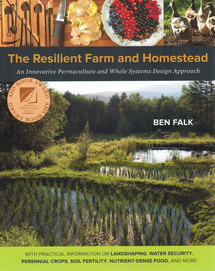 Author Ben Falk, a land designer and site developer, has seen his Vermont-based, permaculture-research farm draw national attention as a proven working model of regeneration agriculture and modern homesteading. Situated on a terraced hillside over-looked by conventional farmers as unworthy farmland, Falk’s farm is an array of fruiting plants, ducks, nuts, fuelwood hedges, earth-inspired buildings, and even rice paddies. 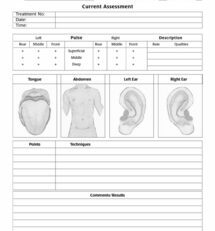 The Resilient Farm and Homestead covers many of the strategies Falk and his team have tested at the Whole Systems Research Farm over the past decade, as well as experiments from other sites Falk’s business has designed and implemented.